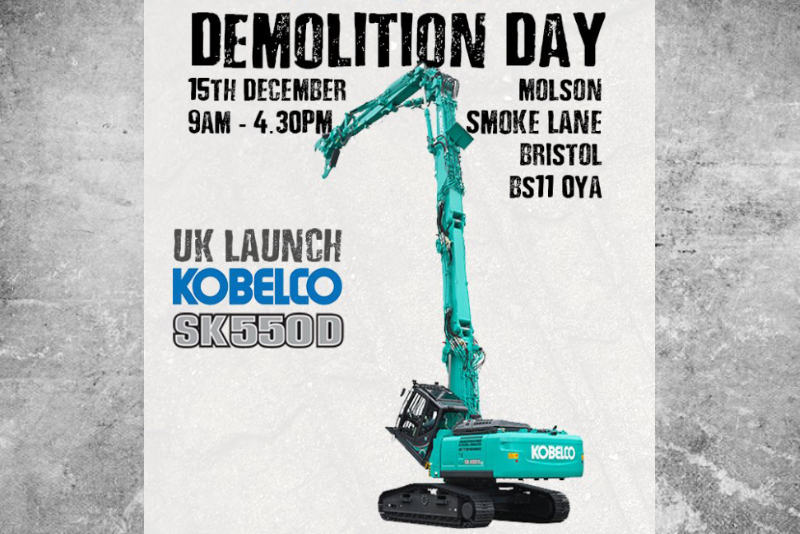 Demolition Day - Kobelco Construction Machinery Europe B.V.
Demolition Day – presentation of demolition machine SK550DL-10 at Kobelco authorised dealer Molson Group in Bristol. During the event, food and drink will be served. Please contact a local rep to confirm your attendance.